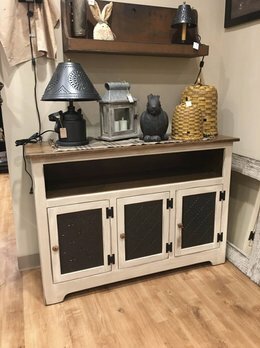 This beautiful Old Mill Punched Tin White Buffet is perfect for your Country Home! Great in a kitchen, dining room and some choose to use it as a TV stand. The distressing sets this piece apart and the 3 doors of Punched Tin give you lots of storage. This Black Punched Tin Buffet is a stunning statement piece! With 3 doors this piece offers versatility and great storage options. 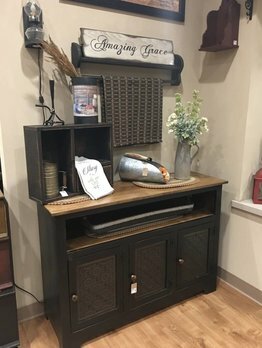 Made of solid wood this country buffet can be used in a kitchen, entry way or living room.